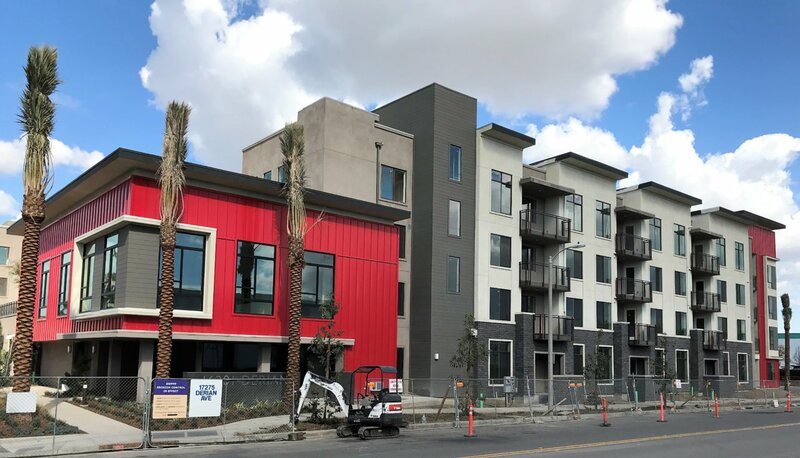 Grand opening of Irvine’s newest affordable housing development Parc Derian is scheduled for March of 2018. The project is located at the Irvine Business Center with convenient access to restaurants, shops, public transportation and major freeways. It offers 80 residential apartments from 1 to 3 bedrooms. 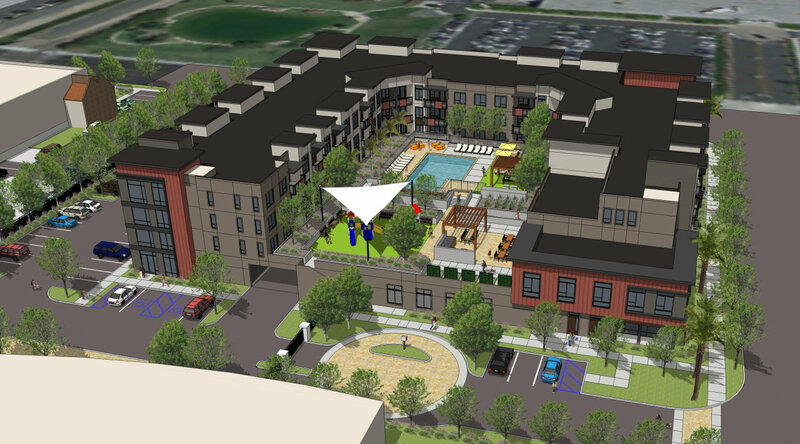 The gross area of the residential units is approximately 100,000 square feet. Parc Derian boasts 5,000 square feet of community space with amenities including fitness room, community room, on-site laundry facilities and secured bicycle storage. A second-floor exterior podium deck will encompass a tot lot, outdoor barbecue and fireplace, swimming pool and community garden. The residential building is three-story Type-VA construction with light-frame wood framing. It is supported by a single-story on-grade Type-IA concrete parking garage. The podium deck is post-tensioned and it supports raised pool deck. NIC Structural Engineering Consultants partnered with C&C Development in collaboration with Innovative Housing Opportunities for this project. The architectural design is provided by KTGY.